Garlic is not only spices but it is also a miraculous medicine. It is used to cure much disease for many years. Many people stay away from the smell of garlic but it is drug which has many salutary benefits. Do you know about the garlic oil? Garlic would be grind and put in the vegetable oil for some time and it is used as garlic oil. Garlic oil controls cholesterol level in the body, prevents from heart disease and also from many diseases. 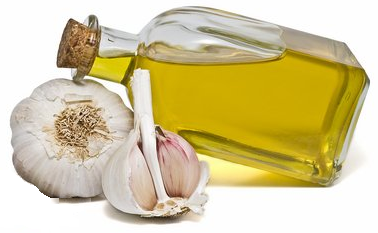 Garlic oil is full of anti-bacterial and antiseptic properties which give benefit in tooth pain and ear pain. It is also beneficial for those girls who face considerable acne. You can apply it on face and hair to get rid from dandruff. Let us know benefits of garlic oil. For heart: It controls blood pressure. It makes the blood thinner and prevents from cardiac death. Control cholesterol: It reduces bad cholesterol, maintains cholesterol and triglyceride levels and provides best health. Saves from cancer: You can survive from all types of cancer by including garlic oil in your diet. It has element which destroy cancer cell. Prevent ear infections: It is antiseptic, anti-bacterial and anti-viral oil which helps to get rid of from ear infection. Prevents toothache: It has anti-bacterial properties which help to relieve the toothache. Increase immunity: You can get rid of the deadly elements such as lead and mercury by including garlic oil in your diet. It also increases the immunity. Acne: Put garlic oil in your face pack. You can get rid from all skin problems. Garlic oil helps to eliminate acne scars. Dandruff: You can get rid from dandruff by massaging garlic oil on you hair.